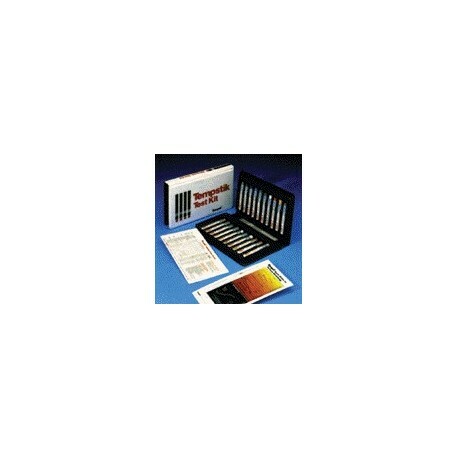 The TEMPIL TEMPERATURE INDICATOR KIT is comprised of 20 Temperature Indicator Sticks spaced between 125F and 800F at 125, 150, 175, 200, 225, 250, 275, 300, 325, 350, 375, 400, 425, 450, 475, 500, 550, 600, 700, and 800F (51, 65, 79, 93, 107, 121, 135, 149, 163, 177, 191, 204, 218, 232, 246, 260, 287, 316, 371, 427C). 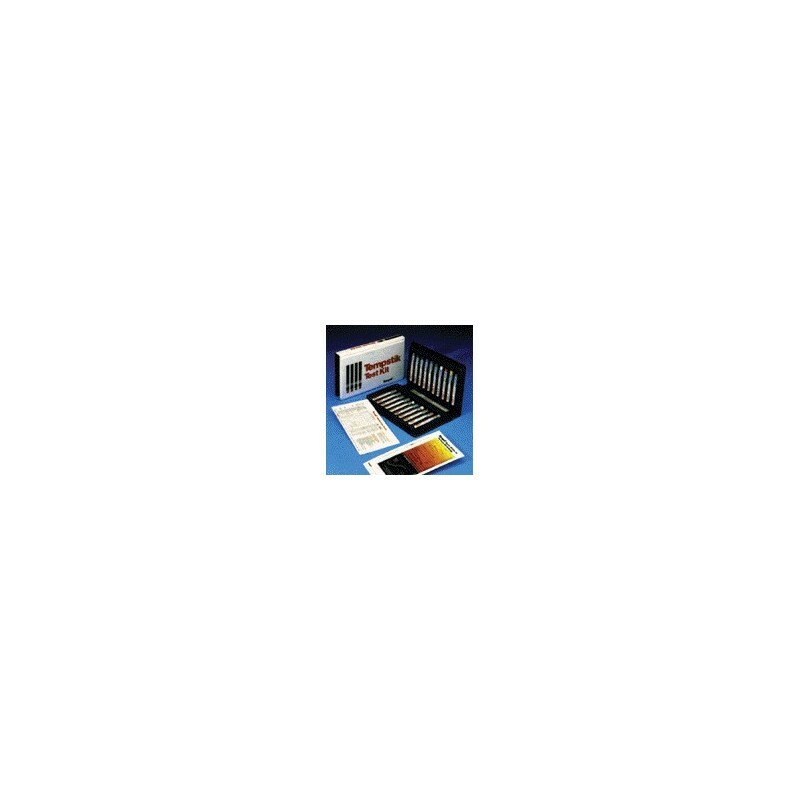 The kit is simple to use, accurate and inexpensive. Provided is all the information you'll need for determining the proper temperatures for welding, heat treating, soldering, brazing, and other operations involved in the fabrication of most metals and for measuring preheat, interpass, and postweld heat treatment temperatures. All temperature ratings are calibrated to a guaranteed tolerance of 1%. Calibrations are NIST traceable.